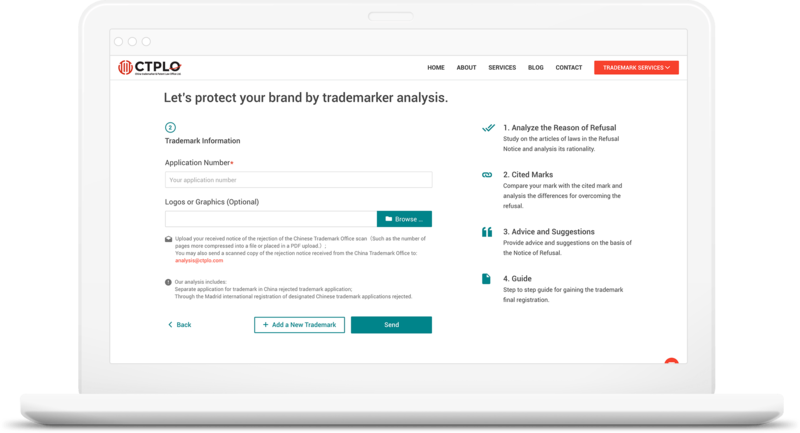 Free trademark search report after Blind Period. We deliver an availability search for similar pending or registered prior trademarks. 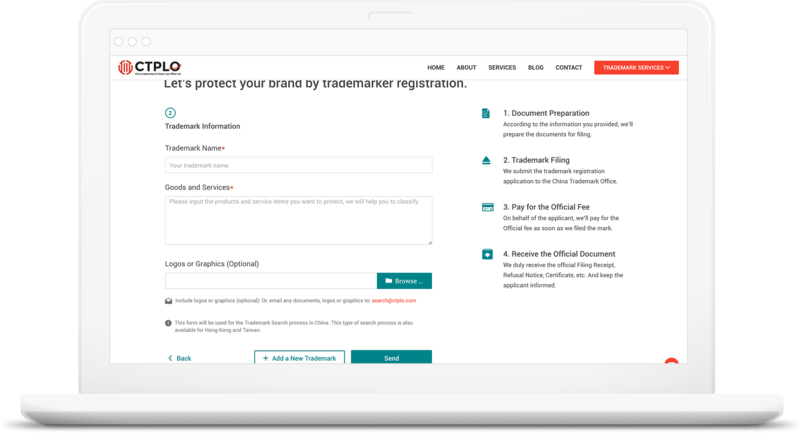 The report contains a Assessment from a lawyer specialized in trademark law regarding the registrability of a trademark and the risk of collision with trademarks already registered. We process the trademark registration application in mainland China. The all-inclusive price includes our attorney fees and the government fee, assuming no refusal or opposition. We also handle trademark cases in Hong Kong, Taiwan and Macau. The Trademark Refusal does not mean that your trademark cannot get registered.Our attorney can help analyze the reason of refusal. If the reason of refusal is not reasonable, the attorney will provide professional advice and suggestions to overcome the refusal and get your mark registered. What are included in our Search Report? Make sure the trademark will not violate the China Trademark Law. Search in the CTMO database and check that if there is any identical or similar prior mark. 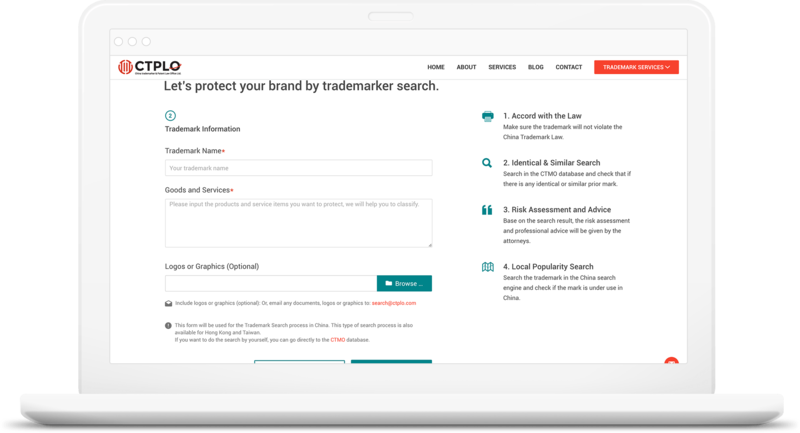 Search the trademark in the China search engine and check if the mark is under use in China. What are included in our Trademark Application? According to the information you provided, we’ll prepare the documents for filing. We submit the trademark registration application to the China Trademark Office. On behalf of the applicant, we’ll pay for the Official fee as soon as we filed the mark. We duly receive the official Filing Receipt, Refusal Notice, Certificate, etc. And keep the applicant informed. What are included in our Refuse & Analyze? Study on the articles of laws in the Refusal Notice and analysis its rationality. Compare your mark with the cited mark and analysis the differences for overcoming the refusal. Provide advice and suggestions on the basis of the Notice of Refusal. Step to step guide for gaining the trademark final registration.